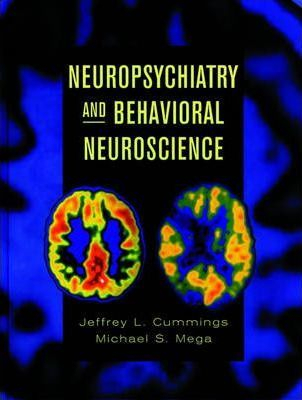 Neuropsychiatry And Behavioural Neuroscience - ubiq bookshop: the best place to buy books! This is the long-awaited new edition of Jeffrey Cummings' classic work, Clinical Neuropsychiatry, originally published in 1985. That book represented an integration of behavioural neurology and biological psychiatry into a single volume devoted to explicating brain-behaviour relationships. It was clinically oriented and intended for practitioners caring for patients with neuropsychiatric disorders. The new title reflects the authors' effort to link the recent explosion of new information from neurochemistry, neuroanatomy, genetics, neuropharmacology, neuropathology, and neuroimaging to the clinical descriptions. Yet the clinical emphasis of its predecessor has been maintained. Each chapter has a consistent approach and the book as whole provides a practical, easy-to-use synthesis of clinical advice and basic science. The volume is enchanced by 4-colour images throughout. It is intended for students, residents, fellows, and practitioners of neurology, psychiatry, neuropsychology, and cognitive neuroscience. It will also be interest to individuals in neuroimaging.